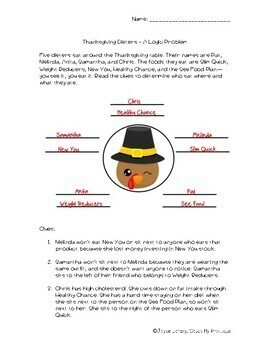 Are you looking for a logic puzzle related to Thanksgiving, but the problems you find are too easy for your class? 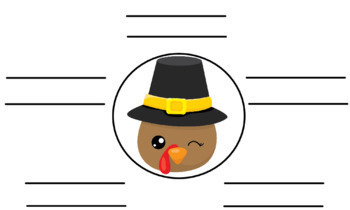 This logic puzzle about the Thanksgiving holiday is sure to challenge gifted and talented or bright middle schoolers around November. Logic problems involve higher level / critical thinking skills and are great for early finishers, for use in centers, or even to reward students with a fun and engaging activity. Students may complete this problem independently or in cooperative groups. 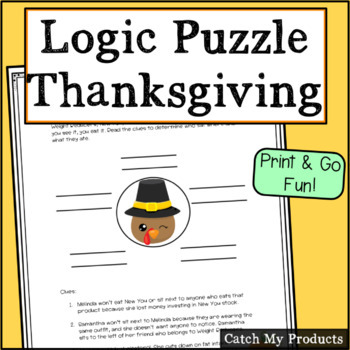 Challenge your students, and improve their critical thinking skills, with this Thanksgiving logic puzzle from Catch My Products. Save money with this Mega-Bundle that contains 35 logic problems at one low price.